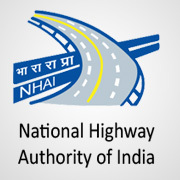 NHAI Jobs Recruitment Notification 2018.National Highways Authority of India (NHAI) inviting applications for the positions of Manager and deputy general managers.Interested and Eligible candidates can apply for the positions. Last Date for Submission of Application is on November 07th, 2018..
Total number of vacancies to be followed by NHAI is 13 posts. Applicants must be completed degree from the recognized organization/ University. Selected candidates will get pay per Rs.15,600 – 39,100/-.+ grade pay Rs.5,400/-. Applicants can download the application form from their official site and attach all relevant documents to send to the given address below. Last date to submission of the application: 07th November 2018. The post of Manager (Administration) on Deputation Basis at NHAI, Ministry of Road Transport & Highways, Government of India.